RMC Boutique is in a gorgeous 2,600 sq ft location overlooking the Savannah River and Emmet Park. 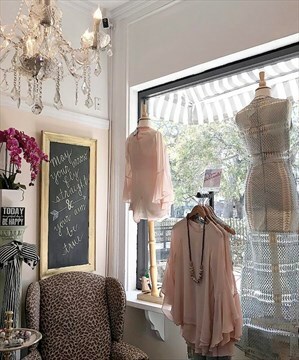 Our building is between Bay St and River St. RMC Boutique offers women's apparel, shoes, jewelry, accessories and more! We search the globe to bring you the latest trends. We also take pride in showcas..